face applier from Egozy - Aymen tan, shown on Catwa head Paul. Included Omega applier used on Adam body. comes with TMP, Signature, Omega, & Slink appliers plus beard variations and no eyebrow option. 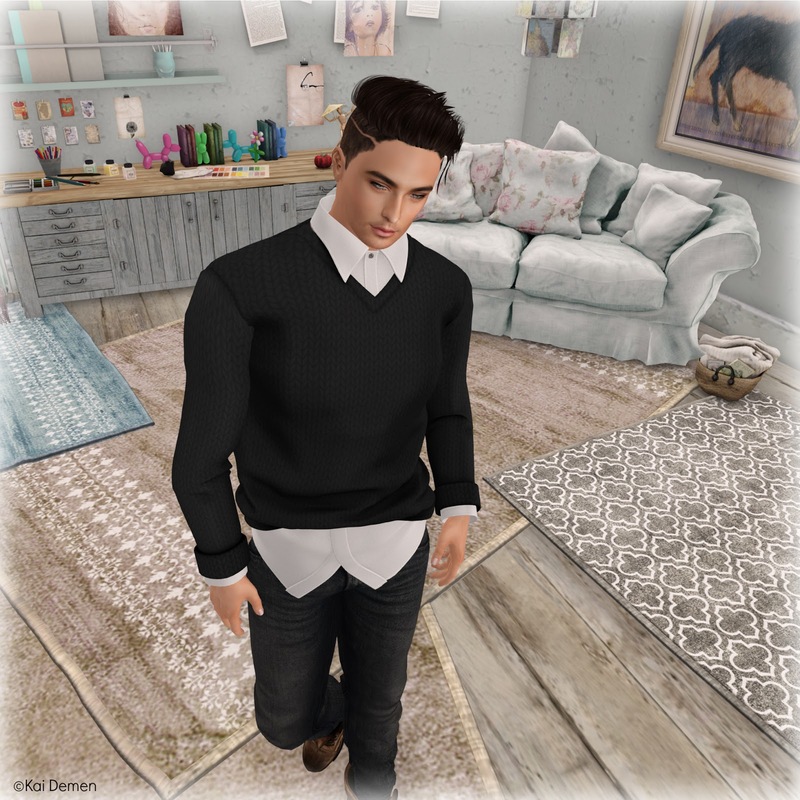 sweater from BRAVURA Boite Noir - Winter Sweater and Shirt Black and White, comes in a variety of sizes and color combinations - NEW RELEASE!